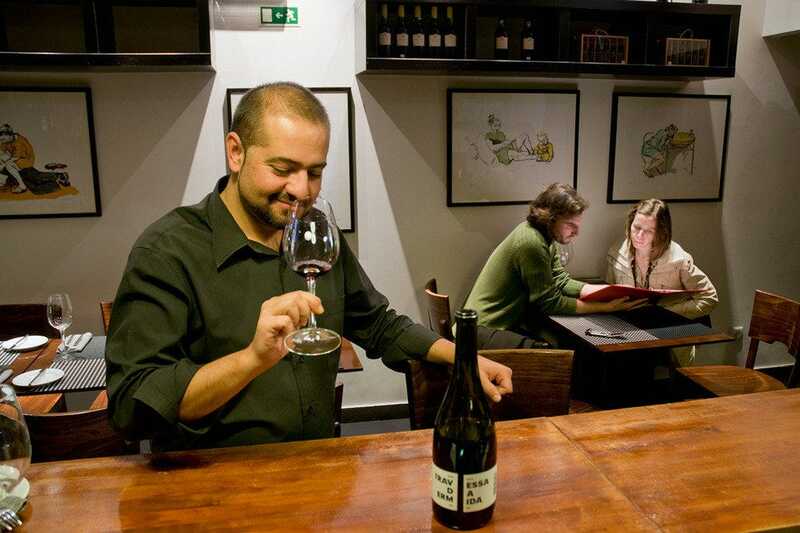 Proprietors Nelson Guerreiro and Angelo Santos impart their incisive knowledge of Portuguese wines to an eager clientele at this contemporary boutique wine and tapas bar. 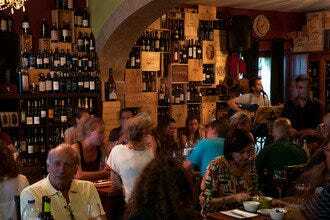 Located in the historic waterfront suburb of Belem, you have to duck down an alley to find the place but once discovered its cultured, unhurried atmosphere and seriously impressive ensemble of wine will leave an indelible impression. 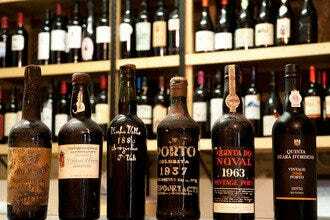 Around 80 different labels are stocked and embrace much of Portugal, from north to south, plus Madeira. 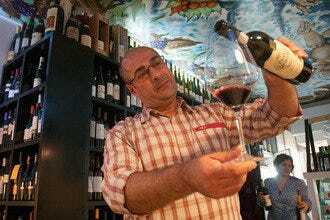 Wine is sold by the glass or bottle. 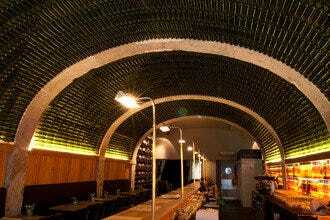 An entire wall is stocked with earthy reds, citrusy whites, "green" and sparkling wines, but there is no list as such. Instead, in a novel approach to choosing, customers are lent a pair of antique binoculars so you can actually scan the shelves until you pick out something you fancy. 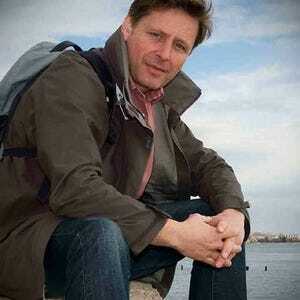 But selection is often left to the experts and Nelson and Angelo never disappoint with their recommendations. A stand-alone bottle is the their very own Travessa da Ermida Reserva 2008, a full-bodied red from producer Rui Reguinga. It's named after the 18th-century chapel that sits opposite the bar, which is now a thriving cultural centre. 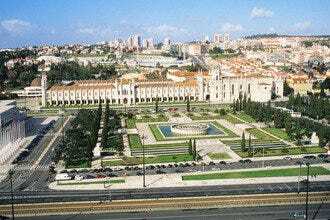 Enoteca de Belem is also a restaurant. The artisanal food reflects the same attention to detail given to the wines, with tapas-style servings of grilled octopus, duck risotto and a host of other mouth-watering dishes. 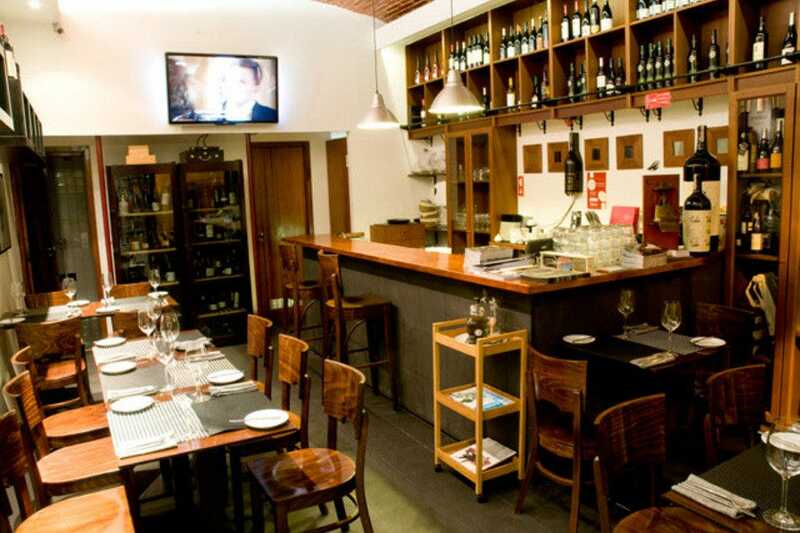 Wine Bars: "Allow time to explore the chapel opposite, Ermida Nossa Senhora da Conceiçao It has been turned into an excellent cultural space and hosts regular art exhibitions and installations." 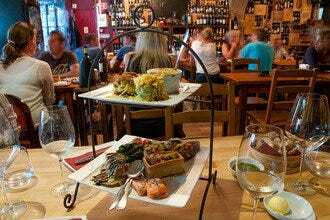 Best for Wine Bars Because: The wining and dining experience is cultured and considered, and is especially conducive at night when the ambiance is quite romantic.